Richard Tommer is CEO of College Hunks Hauling Junk and Moving. The company provides uniformed, collegiate crews for all household and commercial moving needs as well as junk removal, donation pick-up and labor service. Richard has a master’s degree in Urban & Regional Planning from Florida Atlantic University; a master’s degree in business administration in real estate development from Nova Southeastern University; is a JD Candidate of the Albany Law School of Union University and holds a bachelor’s of arts in political science from State University of New York at Albany. He volunteers with a number of charitable organizations, including the American Cancer Society, H.A.N.D.Y., Broward County Library Foundation Literary Feast, and Alzheimer’s Association of South Florida. 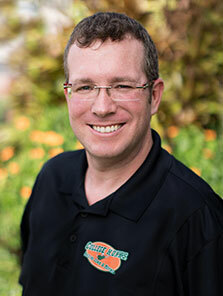 Richard also lends his expertise to his alma maters, often serving as a featured speaker at Nova Southeastern University and Florida Atlantic University.